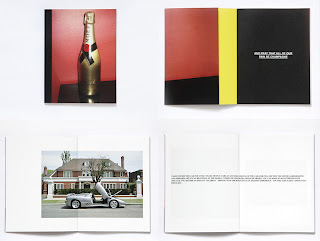 "Peter Mann’s new book is a celebration of vernacular advertising photography and a tragicomic look at the reality of branded luxury items away from the multi million dollar advertising campaigns normally used to sell them. The book is made up of photographs and copy used on ebay. Seen without the guile of the worlds top photographers and copywriters many of the things for sale seem absurd and often tinged with tragedy, especially in the current economic climate."